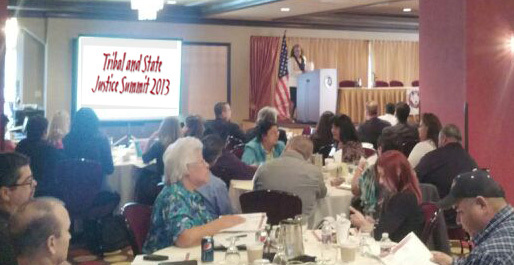 California Indian Legal Services (CILS) would like to thank all those who attended and contributed to the “Tribal and State Justice Summit” held at the Rincon Harrah’s Casino and Resort on November 18 and 19. 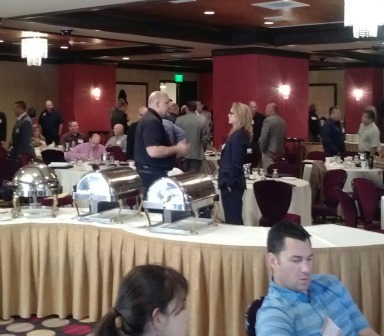 CILS sponsored the Summit in conjunction with the California Attorney General’s Office, the California State Sheriff’s Association and the California Tribal Police Chiefs Association. Attendees included tribal leaders and members, sheriffs from six counties, including San Diego Sheriff Bill Gore, Tribal police chiefs from ten tribal law enforcement departments, the Assistant U.S. Attorney’s Tribal Liaison for the Southern District of California, San Diego District Attorney Bonnie Dumanis; a Special Agent from the Bureau of Indian Affairs, Office of Justice Service; and other honored guests and speakers. Our goal in holding the Summit was to bring tribal and state law enforcement stakeholders together to share ideas, best practices, and collaborative efforts that are working to protect tribal communities. 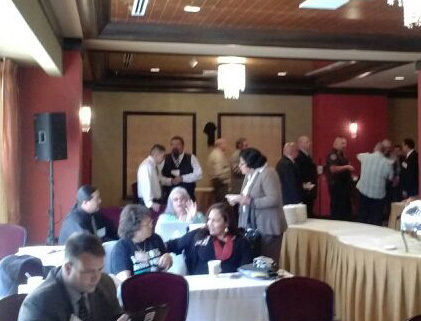 As law enforcement in Indian Country remains a challenge for both tribes and local law enforcement, we hope to see future gatherings to build on what was shared and learned at the November Summit. Materials from the Summit will be made available on the CILS website (www.calindian.org) and the California Attorney General’s site (http://oag.ca.gov). A big thank you to all the participants and CILS staff who made the Summit a success! The Tribal Law and Order Commission has released its 2013 report entitled “A Roadmap to Making America Native Safer.” Preparation of the report is required under the Tribal Law and Order Act of 2010, Public Law 111-211 (TLOA). The report sets forth a number of recommendations that speak to many of the tribal law enforcement funding issues faced by California tribes and other tribes in Public Law 280. 1. Congress should eliminate the Office of Justice Services (OJS) within the Department of the Interior Bureau of Indian Affairs, consolidate all OJS criminal justice programs and all U.S. Department of Justice Indian country programs and services into a single “Indian country component” in the U.S. Department of Justice. 2. Congress and the executive branch should direct sufficient funds to Indian country law enforcement to bring Indian country’s coverage numbers into parity with the rest of the United States. 3. Tribes would be allowed to opt out immediately, fully or partially, of Federal Indian country criminal jurisdiction and/or congressionally authorized State jurisdiction, except for Federal laws of general application. 4. Congress should establish a new Federal Circuit Court, the United States Court of Indian Appeal. 6. To generate accurate crime reports for Indian country, especially in Tribal areas subject to P.L. 83-280, Congress should amend the Federal Bureau of Investigation (FBI) Criminal Justice Information Services reporting requirements for State and local law enforcement agencies’ crime data to include information about the location at which a crime occurred and on victims’ and offenders’ Indian status. For a .pdf version of this CILS announcement click here. Board members are expected to attend four (4) quarterly Board meetings each year; at a minimum three (3) via teleconference and one (1) in-person for the June quarterly meeting (in-person attendance for all meetings is encouraged), attend at least one (1) CILS sponsored event per year, participate on 1-2 Board committees, contribute an average of 1-2 hours per month between quarterly meetings, attend Board development retreats and trainings, participate in annual strategic planning sessions and fundraising efforts, make a personally significant financial contribution each year (100% participation from the board is expected), and actively contribute their expertise to the Board’s important role in CILS’ organizational and programmatic affairs including recruiting new Board members as well as community relations. The Community Representative positions on the Board are important, as they offer an opportunity to speak to and advocate for the needs and expectations of the communities we serve. Towards that end, low-income applicants are particularly encouraged to apply. Applications are currently being considered for open vacancies and holdover appointments. Applications will be considered on a rolling basis as appointments expire or become vacant. We currently have community representative seats vacant in the northern and southern regions. The Board of Trustees will be reviewing applications for appointment at its December 2013 and March 2014 quarterly meetings. CILS is an Indian-controlled, non-profit law firm devoted exclusively to the cause of Native American rights. CILS was the first non-profit Indian rights law firm in the country and for over forty-six years, we have provided California tribes and Indian individuals with direct representation, advocacy, public policy, and community-building services. Through free and low-cost legal services on such matters as child welfare, Indian land issues, discrimination, housing, public benefits eligibility, probate, tribal sovereignty, expansion of the Indian land base, and repatriation of sacred items, CILS fulfills its mission to protect and advance Indian rights, foster Indian self-determination, and facilitate tribal nation-building. CILS has four (4) field offices throughout California. Locations include: Bishop, Escondido, Eureka and Sacramento. The Principal Office of CILS is also housed in the Escondido CILS office. Our Board of Trustees is composed of thirteen individuals: four attorney appointments made by the State Bar of California and nine community representatives recommended/nominated by California Indian tribes and organizations. To be eligible for appointment to the CILS Board of Trustees as a Community Representative, an individual must be California Indian. Recommendations for appointment of Community Representatives are made by California Indian tribes and organizations: federally-recognized Indian tribes, terminated Indian tribes, unrecognized Indian tribes, Indian associations, organizations, and groups. The individual must be a resident of California and reside in the geographic area that they will represent (see below to determine which region the applicant would represent). Northern California Counties include: Alameda, Alpine, Amador, Butte, Calaveras, Colusa, Contra Costa, Del Norte, El Dorado, Glenn, Humboldt, Lake, Lassen, Madera, Marin, Mariposa, Mendocino, Merced, Modoc, Mono, Napa, Nevada, Placer, Plumas, Sacramento, San Francisco, San Joaquin, San Mateo, Santa Clara, Santa Cruz, Shasta, Sierra, Siskiyou, Solano, Sonoma, Stanislaus, Sutter, Tehama, Trinity, Tuolumne, Yolo, and Yuba. Southern California Counties include: Fresno, Imperial, Inyo, Kern, Kings, Los Angeles, Monterey, Orange, Riverside, San Benito, San Bernardino, San Diego, San Luis Obispo, Santa Barbara, Tulare and Ventura. Some, but not all, of CILS’ Board of Trustee positions must be filled by low-income individuals. To be considered low-income, individuals must have a household income equal to or below 125% of the Federal Poverty Income Guidelines (FPIG). In some instances, an individual may have a household income equal to or below 200% of the FPIG and still qualify. Eligibility will be assessed during the appointment process. Questions regarding qualifications and/or eligibility may be directed to Patricia De La Cruz-Lynas at the phone number below. All applications will require submission of a letter of interest and resume from the individual. In their letter of interest, applicants should describe not only their interest in serving on CILS’ Board, but also specific skills, experience, or areas of expertise they would bring to the Board. Applicants should indicate the name of the California Indian tribe, organization, or group that would support their application. Prior to appointment, a formal resolution, support letter or similar action from the recommending organization or tribe must be submitted. If you are an individual who would like to be apply, or you are an organization that would like to nominate an individual for appointment, please contact Patricia De La Cruz-Lynas, California Indian Legal Services, 609 South Escondido Blvd., California 92025; (916) 978-0960 ext. 314. Applications may also be submitted via email to: BoardApplications@calindian.org. Applications will be considered on a rolling basis as appointments expire or become vacant.